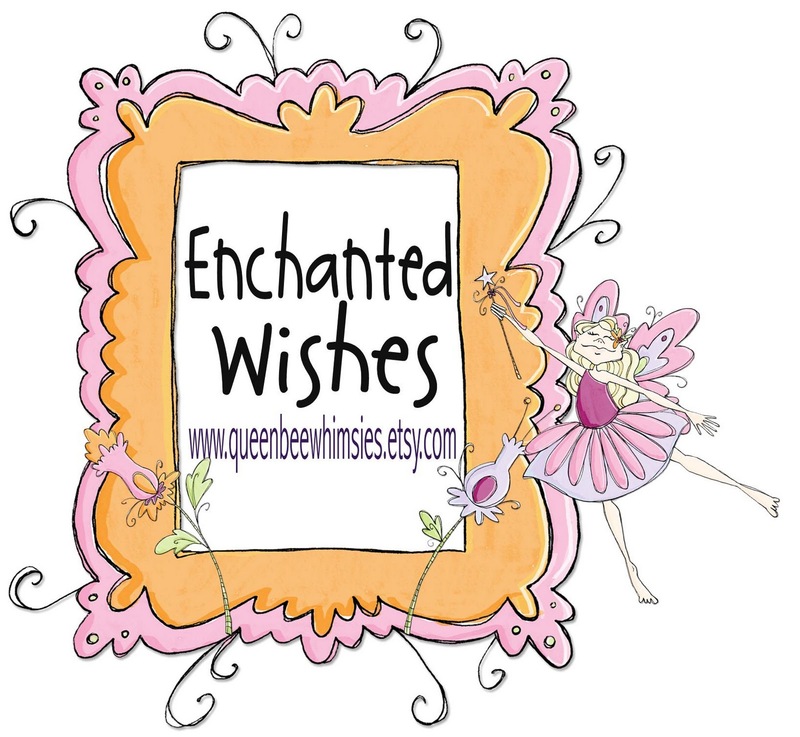 We are very happy to be featuring "Enchanted Wishes" on our blog. Who are they and what do they sell? Well let's start from the beginning. 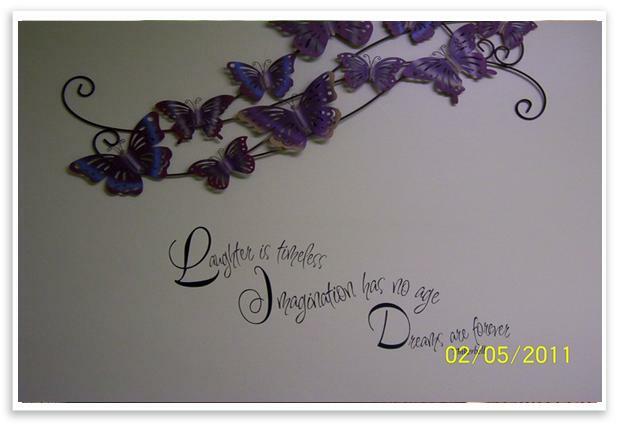 We got acquainted with Janine Logue last year when she bought some wall quotes from us to put in her shop. They looked wonderful on the walls of their shop. Then they moved into a larger space wanted the same quotes. 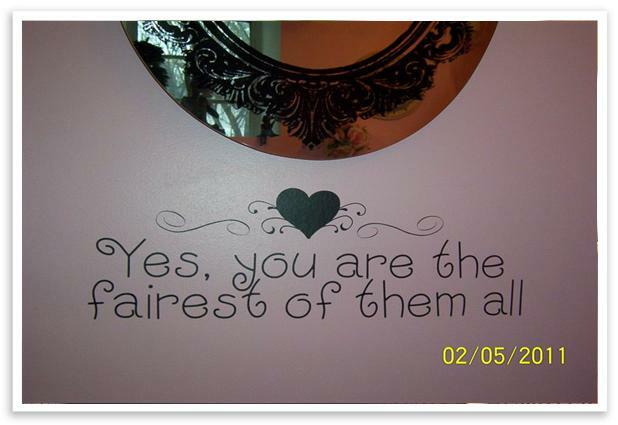 When we saw the photos of their shop and our quotes we wanted to share them with you. Click on the photos to get a look at a larger picture. Before opening my shop, I worked in corporate America for 30 years, with my last 22 years working for Elizabeth Arden corporate. I worked for the EVP of Operations at the time, which included the package development , design, R&D, QA, and engineering departments. It was a very interesting place to work, and learned a lot of how to package a product. I had been selling online for some time, and always wanted to own my own boutique. I would pass by this one empty storefront on my way to work every day, saying, "that is MY store." because in my dreams, it was my store. After inquiring about the prices of rent in my area, I resigned myself to that fact that my dream would have to be put on hold...maybe forever, until I found a tiny shop, 144 sq. feet to be exact, in July of 2009. The price was right, so I took a leap of faith and signed a lease. The next morning, I was almost in a panic thinking I made a mistake...how would I do this while working a full time job??? 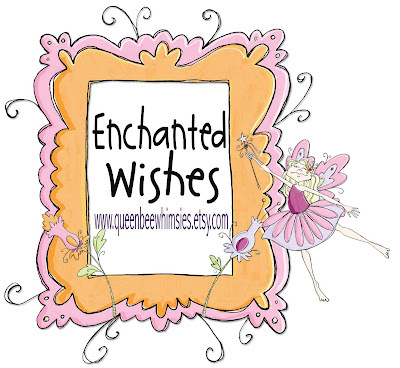 With the help of my family, my dream became a reality, and Enchanted Wishes was born! I have now moved to a bigger location, 400 sq. feet this time, still in Armonk, which now has a private room for hosting parties! 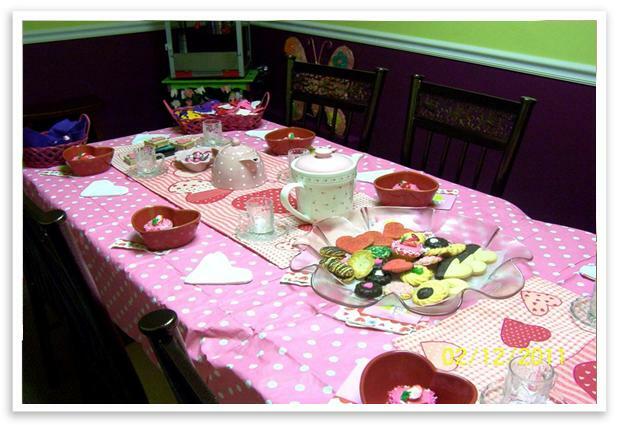 Since re-opening on February 5th, I have held a "hands-on" craft session for Valentine's Day, and most recently, during the NY school break, offered "drop-in" jewelry making, which turned out to be a great success! 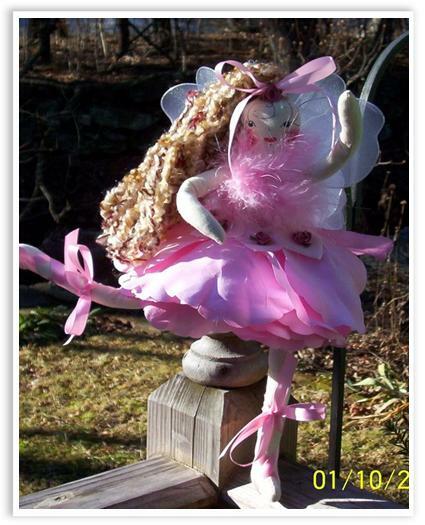 When I started my creations, back in 1995, I created a bloomer flower doll for which I got a copyright. I would have to say, from that doll, snowballed into what I am doing today. As I mentioned, I made a "flower doll", with a plain muslin body, and silk flower petals for the petals around the dolls face. Satisfied with this creation, i thought I would then start making them in various sizes, and then decided to made a flower face wand. This was my "a-ha" moment, when I thought they would make great party favors. Now I was on my quest to show them to the party planners across the U.S. for them to incorporate into their parties as favors. From that simple flower all the way to my creations today which include mystical mermaids, petite princesses, fantastical fairies and fairytale tutu poofs, just to name a few. I am located in Rye Brook, NY, with my boutique called Enchanted Wishes located in Armonk, NY. The Give-a-way Items are ADORABLE! Janine has donated these beautiful items in the photo. 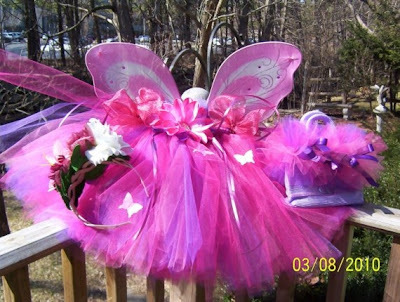 The winner will receive this tutu, wings, purse and headband. What little girl wouldn't want these darling Princess/Fairy Dress-ups! 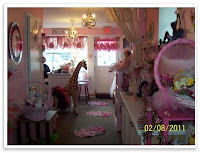 If you're already following our facebook page, great, if not "Like" our facebook page and Enchanted Wishes facebook page. Then leave a comment on our facebook page, or below letting us know that you want to be entered into the drawing. We will draw the winner on Monday March 14th in the afternoon and will post the winners name right here on our blog. Good luck everyone! Double click on the photo to enlarge it. I would love to be entered. My daughter loves to dress up and this would be perfect in her collection. Ooh, I know a little girl who would LOVE that! I have a little, fairy princess that would love a new beautiful outfit! 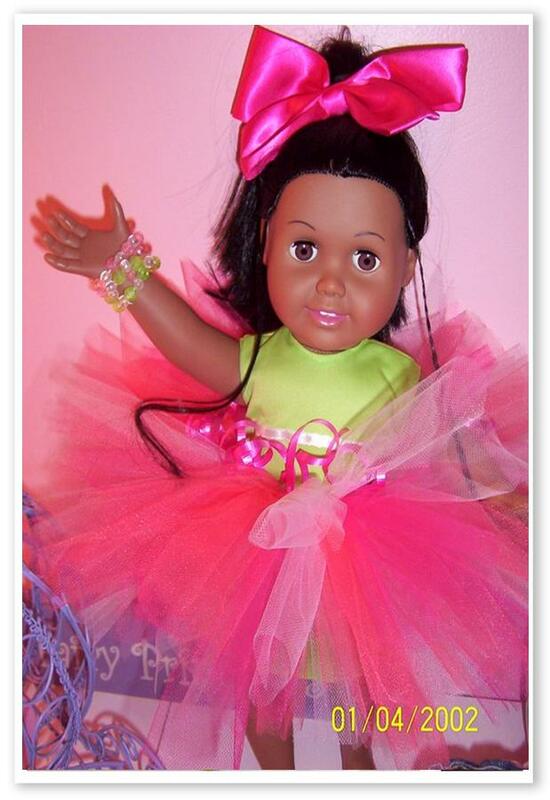 My daughter would love this princess outfit!! Thank you for doing a giveaway :). (I think I accidentally sent this to you an email the first time, sorry about that).